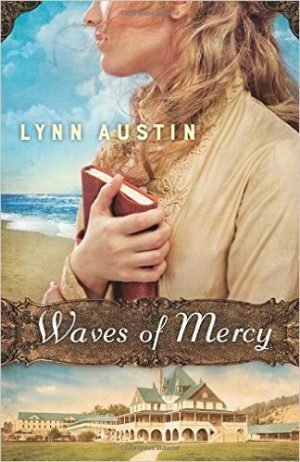 In Part 1 of this interview series with Christian historical fiction author Lynn Austin, I shared about my surreal experience visiting one of my favorite authors in her home to interview her about her latest book, Waves of Mercy. What I didn’t share in that first post was the remarkable impact that Lynn’s words and demeanor had on my own writing life. Sitting in her living room, I absorbed her every word and folded her advice and encouragement into the fabric of my mind. Two days after our 90 minutes together, I had the pleasure of listening to Lynn deliver two keynote addresses at a Christian writers’ conference. I gleaned further wisdom during those hours and took copious notes to share with you here, in hopes that you’ll be similarly blessed. Q: What encouragement would you give to the writer who has experienced repeated setbacks in the writing life? Lynn: “I’m answering after learning the hard way. I did quit. After years of rejections before my first book was published, I quit. I took a teaching job and was miserable. But God steered me back. Sometimes you just have to go through it, and maybe you need to learn the hard way. If you have a calling from God, He’s going to bring you back. Q: Do you have any writing “must haves”? I could fill another whole blog post with quotes from the two conference sessions Lynn delivered. You have to make up your mind: Is God calling you to write? Calling comes from God. If He believes in you, who are you to doubt? You can’t run from God’s call. If you’re going to answer God’s call, it’s going to require sacrifice. What are you willing to give up to nourish your dream? Learn to say “no” to things so you can say yes to your calling. On the flip side, determine where your writing fits into the scheme of things. Don’t let your writing become an idol. Write regularly and consistently. Offer to write anything, just for the practice. So many writers give up because they get tired of waiting for the plant to grow. Trust God’s timing. He doesn’t measure success by results, but by obedience. It isn’t just about the books; it’s about you and God. No other reward will ever compete with the satisfaction of knowing that you’re serving God and bringing Him glory. What about you? What writing advice has encouraged you? Which quote(s) stood out as you read this interview? What question(s) would you ask one of your favorite authors if given the chance? We’d love to read your responses in the comments below! Grab Lynn’s latest novel, Waves of Mercy, on Amazon. Hi Kate, thank you for posting this! If it was only for me, then know it was God! haha! I am one of those Mama’s trying to write with a hundred other things on my plate; but I know I’m called to do it. So this post spoke straight to my heart and to the season I am in. It’s interesting for me as I try to figure this out in my own life. I’ve never considered myself a writer, nor even thought or dreamed that I would write a book someday. But I have been led to start a blog this past January, and that was mainly because some of my closest friends and family encouraged me to start one because of some of the posts I shared on Facebook. So I guess I am a writer, but I’m still in the process of determining exactly what that means in my life. Thanks for encouraging us to follow what God is calling us to…..even if we only know the next step for now. 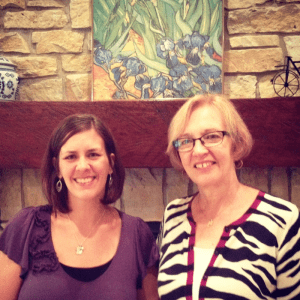 What a blessing, to have interviewed Lynn Austin and to post her advise here! Sacrifice, no ‘instant’ fruit, and fighting the urge to quit (why am I bothering?) I am daily fighting lately! It’s encouraging to know that all writers, even the best-selling ones, have gone through these struggles too.